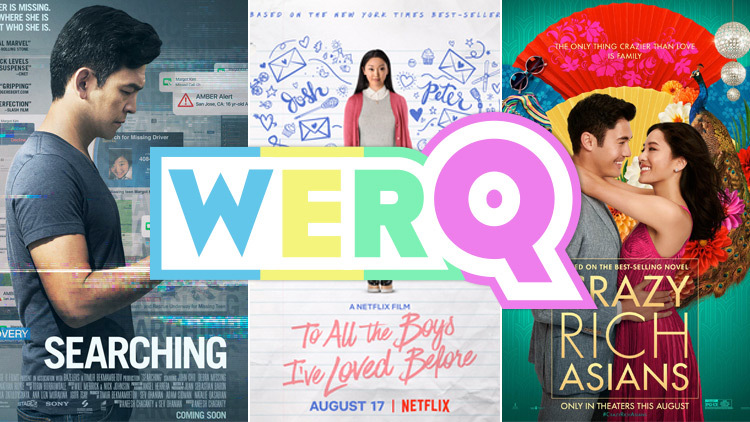 In this episode, editor-in-chief Raffy Ermac and culture writer Taylor Henderson are joined by filmmakers and vloggers Monica Rodman and Ashley Jiang, the creators of the new video series Crazy Queer Asians! The gang talked about growing up on the intersections of being queer and Asian, all the amazing Asian-led movie projects that have come out in recent months (like Crazy Rich Asians, To All the Boys I've Loved Before, and Searching, just to name a few), and why we need even more Asian representation—especially QUEER Asian representation—in the future. Listen to the full podcast below, and be sure to follow Raffy and Taylor on Twitter and subscribe to WerQ on iTunes and SoundCloud! And for more on Crazy Queer Asians, follow Monica and Ashley on Instagram and subscribe to their YouTube channel!